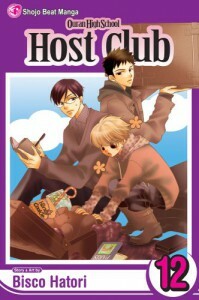 Having broken a priceless vase, Haruhi Fujioka is in debt to the host club, and this romantic comedy series follows her as she tries to pay it back. This volume was a much more serious one than normal, with the twins struggling to make up and find independence, and Kyoya seeking out Tamaki's mother in France. Tamaki also comes to an important realisation about his future, and Haruhi finds unexplained feelings awakening in her. I loved the seriousness of this one, and it seems as though the series is maturing and moving on from its mostly carefree early days. I also like that the twins are becoming known as much more individual characters now, especially since Hikaru has dyed his hair!